She says nature offers the cure for all kinds of sickness. The knowledge of traditional medicine was passed on to her from her mother who was a midwife. Padmashree awardee Lakshmikutty from Kerala is famously known as 'poison healer'. 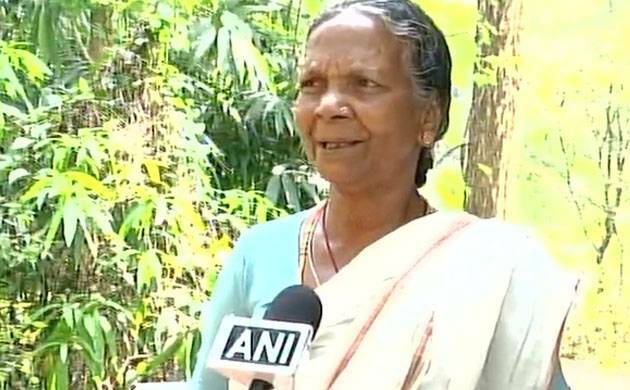 The 75-yr-old tribal woman belongs to Kallar forest area of Thiruvananthapuram district and has been practicing traditional medicine for the past 50 years. Lakshmikutty has a vast knowledge of herbal and traditional medicine which she uses for the treatment of poisoning due to snake bites and many other diseases. “People come to me for treatment of snake poison. I treat all kinds of snake poison and many other diseases,” says Lakshmikutty. But there is one big malady that even she can’t cure, and that is the lack of any functional road in her locality. “There is no road to my home even today though it was approved in 1952. Providing medicine at the earliest is of vital importance in poison treatment but people are not able to bring patients in time because of that. My son lost his life as we could not take him to a hospital on time as there was no road,” said a brooding Lakshmikutty. She was honoured with Naattu Vaidya Ratna Award by Kerala Government in 1995.